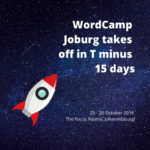 WordCamp Joburg is happening in 15 days and I am super excited about it. WordCamps are the locally organised, global conferences about WordPress. I am a huge advocate for WordPress because the WordPress Content Management System is definitely more than “just a blog”, it powers a huge number of websites (at the time of writing it was around 31% of the sites that are on the Internet)*. It’s used by some tech giants like Microsoft and other Fortune 500 companies but is easy enough for a hobbyist. One of the things that makes WordPress so powerful is its community, and this community is pretty welcoming. The South African WordPress Community in particular has been a wonderful place for me. WordCamp Johannesburg is happening the week before WordCamp Cape Town which means that I will be getting to attend two WordCamps in 10 days, which I am really stoked about. but, the best thing about WordCamp for me, is the people. People happily and generously share their knowledge without agendas and selling. Because WordCamps are locally organised conferences about all things WordPress they aim to be welcoming to everyone. (I have only attended South African WordCamps so far – looking at adding some international ones in the future). As I mentioned this year South Africa has two WordCamps – Cape Town and Johannesburg. Both of our WordCamps follow a similar approach in being two day conferences. The first day is filled with practical workshops and in Joburg is going to have two streams – one aimed at people who use WordPress for things and the other aimed at people who make WordPress for things (Thanks to Seagyn for putting that into words. ) Day two brings everyone together in a conference style event with 30 minute talks on a range of WordPress related topics. 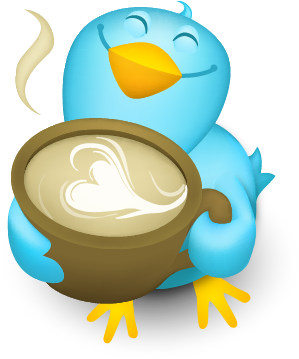 Let me know if I will be seeing you at WordCamp (Joburg or Cape Town) in the comments.